My best memories of life are with my father in law. I first met him when my husband’s family came at my place to see me. The day when I was too shy and nervous, and thought it would be a hard day for me. The day when everybody was asking me questions like never before. When everybody was done, this man in his ironed shirt and short white beard was looking at me in an amusing manner. It was his turn to ask questions, he turned to me with a short pleasant smile and asked “Beta, do you want to ask something?” Being totally nervous I said no. I never expected his wonderful smile and kind of easy communication. 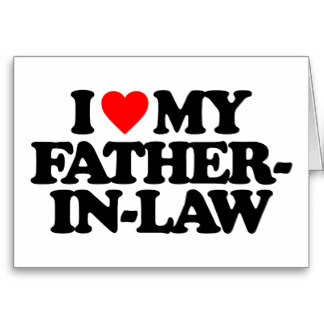 He is my father in law now. Better to be called as Father. He is the one who talks to me like a friend, like a father, like a naughty teen, like a child and at times like an old man. He is superb at nagging, especially when it comes to food. You can’t escape without sharing with him. And if you give him extra piece of chicken then you become his best friend for a day. He bribes you with sweets for extra cup of tea and we have to make sure that mother in law does not know about it. He keeps on asking you irritating questions about his new smart phone. He is smart enough to butter you for those movies on your desktop. He makes sure he fights with you when you are spoiling his towel. He eats like a kid and every time his white t-shirt is spoiled, he gives a smile and says “ food was yummy”. He gives you religious knowledge he has. He also read newspaper for you. 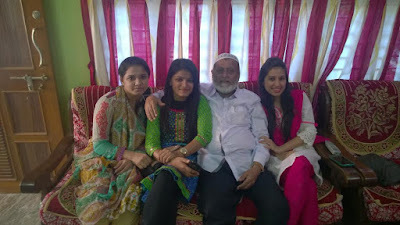 The day when you are tired from office, he keeps on repeating his old jokes or shayaris, so that he lightens up our day . He treats his all bahus with tender love and naughtiness. At our home, all the bahus love him and everybody makes sure to bring something for their abba at home. Listening to his Saudi hotel stories, how he managed things as a manager and stories about his best friend. I never thought of such a beautiful human being as my father in law, we dearly call him Abba. Abba makes sure to get something to eat whenever he goes out for a walk. Today when the time is all about gadgets and technology, a half hour spent with him create good memories. I want to hug him tight and say thank you for making life so easy and crazy with your jokes, sweets, sherbets, talks and your smile!